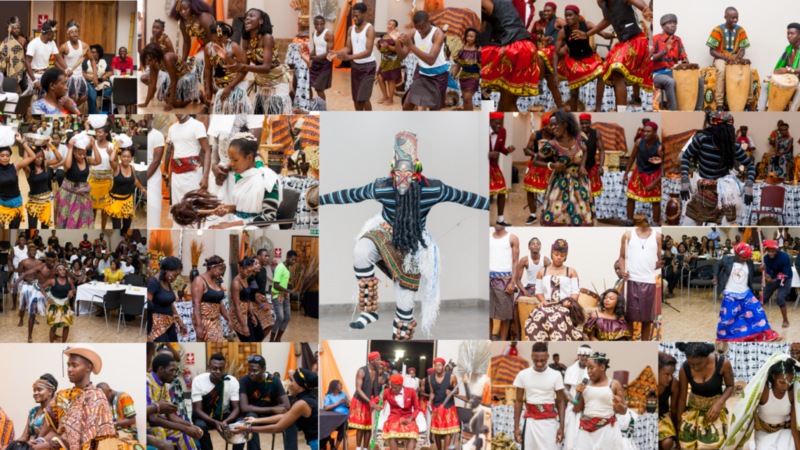 Northrise University hosted its first ever culture night event four days before Zambia’s Independence Day which falls on October 24. Students and staff members tirelessly worked together for over 2 months sharing ideas as they prepared for the event. This event was a platform for students in Peer Leadership training to practice their leadership skills and gave participating students an opportunity to display their cultural practices and traditions. The Auditorium was filled with beautifully decorated crafts from the different tribes of Zambia, and to add to the ambience of the event, the students’ wore beautifully coloured traditional outfits. The Eastern province was represented with a traditional dance which is usually done by chief Mpezeni at the Nchwala Ceremony. Another dance showcased which often brings controversy to moral standards in marriage was one demonstrating how Ngoni and Chewa men got second wives after their first wives could not bear children in the olden days. From the north came Chilanga Mulilo. Chilanga Mulilo is a tradition famous in the northern part of Zambia where a bride’s family presents their cultural food to the groom with the aim of educating him and his family acceptable foods in their tradition. A depiction of the Kuomboka Ceremony was brilliantly done by the students representing Western province. Kuomboka – “Moving from flooded areas to dry land” – is a ceremony celebrated by the Lozi people where the Litunga (the king) and Nalikwanda (the Queen) dance for their people. Singing and dancing continued as the North Western province chief was ceremoniously brought in lifted by his indunas on his throne sit. His queen later made her entrance with her maidens. A man covered in white powder honoured the chief with a poem of praise as the villagers seek the king’s blessings by singing a song called “Lomba” which means “Asking”. When the king gave his people whatever they asked for, the Makishi dance commenced. It is a dance which represents the ancestral spirits. The spirits are represented by a masquerade who chases after any person it finds in its path. Culture night wrapped up with a delicious buffet of traditional food prepared by the NU chefs; kudos to their wonderful cooking skills. How amazing it was to experience and embrace the various Zambian traditions during this event especially as a way to reflect on what being a true Zambian is in wait of Zambia’s Independence.